Maryam’s Maze is an enigmatic novel by one of the most promising authors of a vibrant new generation of Egyptian writers. Set in the house of Yusuf el Tagi, Maryam’s Maze relates the story of a woman struggling to find her way through the confusion of the world around her. Using the literary device of the ‘double,’ Maryam’s Maze narrates a story that on one level touches on universal human emotions. At the same time the inner maze of dreams and memories in which the young Maryam finds herself stirs greater resonance in issues of modern Egyptian life. Echoing themes found in her earlier short fiction, Mansoura Ez Eldin has woven a haunting allegorical tale that reveals its real meaning to the reader only at the end of the novel. 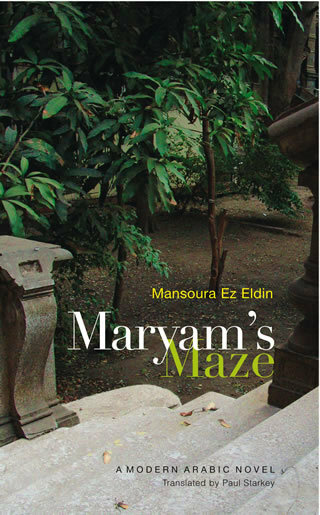 With its precision of language and distinctive personal vision, Maryam’s Maze represents a unique contribution to the corpus of contemporary Egyptian fiction.